The questions “Am I American?,” “Am I Muslim?” and “Who am I?” flash across the screen, accompanied by colorful silhouettes of teenagers leaning against the backdrop of an urban skyline. This eye-catching YouTube video announces the first annual Inspiring American Muslim Youth (IamY) conference with an artistic flourish. The video, along with the organization’s active Facebook page and Twitter feed, showcases the efforts of a younger generation’s creativity and use of social media to reach out to its peers. The inaugural IamY conference, hosted in New Jersey in March 2012, even included a halal cupcake baking competition. The conference theme, “My Identity, My Tomorrow,” encapsulates the efforts within the Muslim community that address the issues facing the younger generation of Muslims in America while encouraging American Muslim youth assert their own identity collectively. 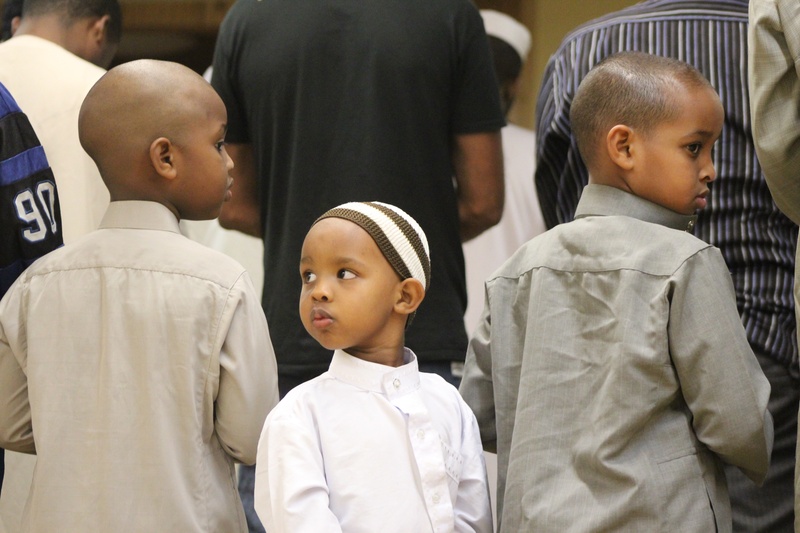 As for many young people in America, religious summer camps have been one venue for expressing the ongoing desire within the Muslim community to provide young people with outlets to explore these issues of identity. 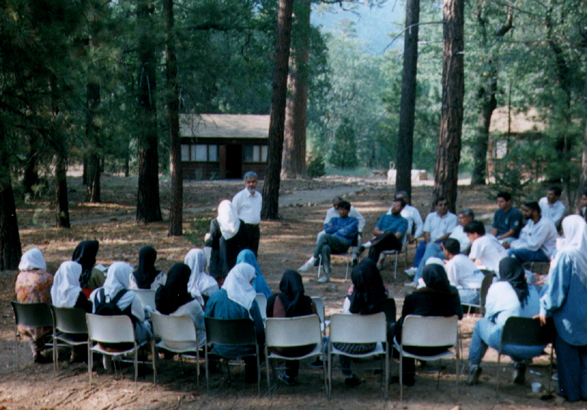 The first Muslim Youth Camp (MYC) was established in California in the early 1960s by Mr. Marghoob Quraishi. At that time, the American Muslim population was considerably smaller, scattered throughout the United States and with few religious or cultural institutions. Most American Muslims were students or young families; the camp’s first year brought fewer than twenty campers. Quraishi’s incentives to start the camp were many: to help young Muslims make friends and establish an identity; to preserve Islam in the younger generation; to come to terms with the place of Muslims in a multi-ethnic, multi-religious society; and to educate both the older and younger generation about Islam. Since then, Muslim summer camps for youth have flourished throughout the United States, taking similar models to those found in any other summer camp in the country—complete with campfires, s’mores, sing-alongs, swimming and more—only adding additional religious education elements. The camps create a space for Muslim children to meet one another and share stories about their experiences as young American Muslims. 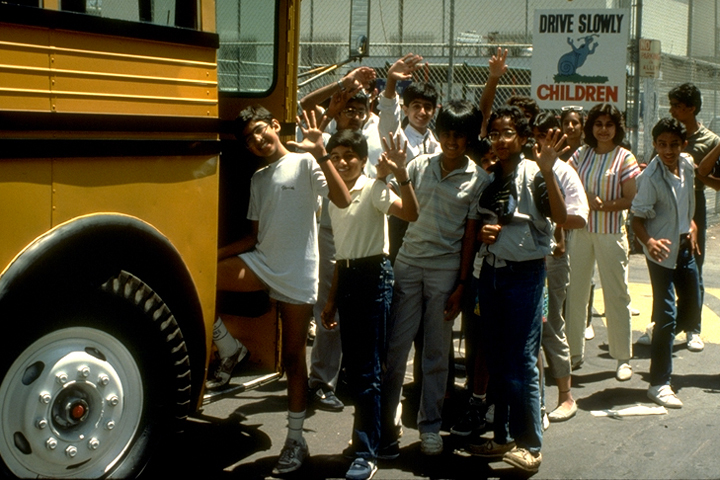 Today, many Muslim organizations are hosting summer camps for children, with similar objectives to those expressed by Quraishi. Many of the pressing issues for the Muslim community—how live in America in a manner that is consistent with Islamic values, how to interact with other communities in a harmonious way, how to find a spouse, how to deal with peer pressure and stereotyping—are not new for American Muslims. Yet, these issues have been amplified post-9/11 due to the experiences of Muslims and the technological advances of the early twenty-first century. Initiatives like IamY illustrate how groups utilize online outlets to continue the momentum and dialogue started at their events and maintain a platform for living discourse between members of the same generation. This connectivity is key since social and cultural challenges confronting Muslim youth come from other Muslims and non-Muslims alike. Topics such as marriage, dating, wearing hijab, and fasting are frequently discussed in blogs and op-ed pieces and on Facebook and Twitter. 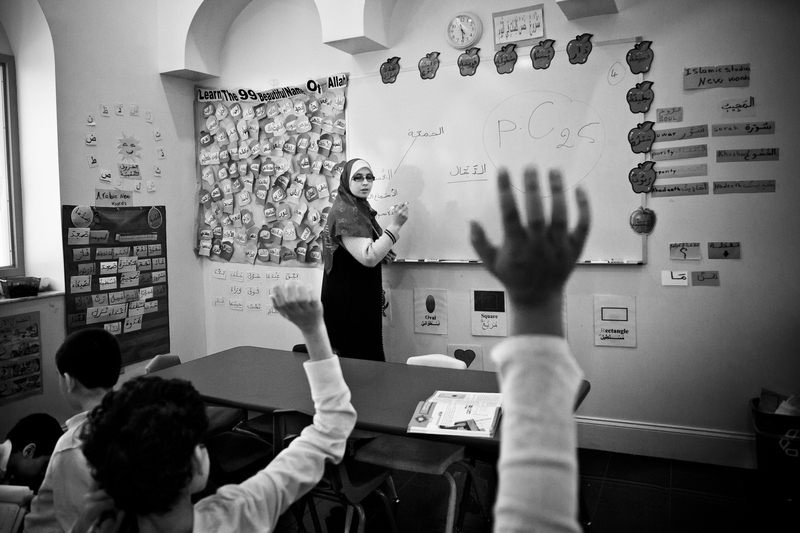 Initiatives like IamY—planned by and for Muslim youth—do have precedent in the American context. The Muslim Student Association (MSA) was founded in 1963 at the University of Illinois at Urbana-Champaign. Founded by a group of Muslim students from the United States and Canada, the MSA today now has branches at universities throughout the two countries and brings together diverse Muslim student populations for religious and social purposes. Some universities have their own, independent student groups that seek to support Muslim students in a similar capacity. Many university organizations have imams and other community leaders, much like the youth groups and mosque-based “Sunday school” programs that work with Muslim children and young adults in to instill in them practical and spiritual knowledge of Islam. These leaders also often challenge students to think critically about their religion within the United States. Additionally, many Muslim student experiences on campus are shaped by their active involvement in interfaith groups in which students from different religious and secular backgrounds are encouraged to share with each other their experiences of their tradition. A 2007 report by the Pew Research Center entitled “Muslim Americans: Middle Class and Mostly Mainstream” found a difference in experience, opinion, and religious practice between young adults (18-29 year olds) and older members of the Muslim community in America. For example, the study concludes that young Muslims are more observant and more likely than those who are over the age of 30 to think of themselves as Muslims before thinking of themselves as American. The Pew study also found that young Muslims, more so than older members of the community, are likely to have experienced some form of discrimination and to be sympathetic with the frustrations expressed by more radical voices. At the same time, young Muslims report receiving expressions of support more frequently than their older counterparts and, the report concludes, that overall American Muslims are happy and assimilated. On a local level, many leaders are actively trying to involve young adults in their communities. Imam Suhaib Webb, of the Islamic Society of Boston Cultural Center (ISBCC), directly discusses with youth some of the challenges they face within their own Muslim community, particularly in terms of generational divides. While some young adults have expressed reluctance to be more engaged with the Center because they prefer to dress a certain way or listen to music that older community members would not appreciate, Imam Webb works with the youth to explain how their own lifestyles and preferences can, in fact, be compatible with Islam. Individual leaders like Imam Webb, whose own experience with hip-hop gives him a particularly resonant edge, are working to bridge the divide between Muslim and American pop cultural identities by showing young people that they can be integrated without compromising one or the other, and beyond that, by demonstrating that the teachings of Islam can be applied to address the challenges of daily life, much as would be done in Muslim-majority countries, too. These national and local initiatives focusing their energies on American Muslim youth acknowledge both implicitly and explicitly that young American Muslims are dealing with unprecedented challenges facing the American Muslim community. MAS’s Straight Path Campaign and the Council on American-Islamic Relations (CAIR) each have articulated intentions to promote a tolerant Islam to younger American Muslims, a response to a fear sometimes expressed in American media that American Muslim youth are becoming more “radicalized.” Instilling Muslim values in youth who grow up in a non-Muslim majority country, while allowing them space to craft their own identities, remains a challenge for all who see young people as both representing and determining the future of the community.